When the World Championship arrives, it’s nice to be prepared with new items to fine tune the racing package at the largest event in the world. 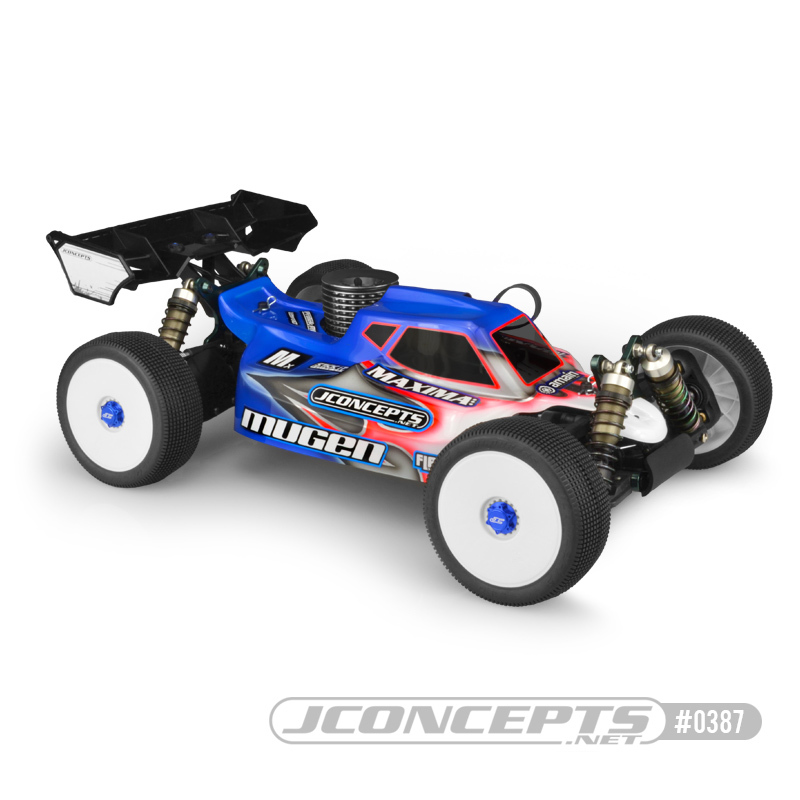 JConcepts arrived with a fresh lid for the Mugen MBX-8 vehicle used in competition by top pilot Ryan Maifield. The S15 packs a lot of performance into a stylish package consistent with vehicle upgrades and performance aero enhancements recently made on the racing circuit. The S15 blends performance features on the popular Silencer body with new features such as mid-body winglets and rear stabilizer kick-up. The roof of the body remains strong with the upper fin in position for stability and tracking ability. The engine area remains clean and a deep rooted position allows the engine head maximum side exposure to air and escape. The front and rear body mount area is cleanly designed and allows for a drop-fit on the Mugen MBX-8 and older MBX-7 kit variants. What started out as a simple task was anything but. For the precise fit, the design has undergone changes to match the Mugen chassis side-guards and body mount positioning. The S15 stance cockpit allows ample fuel tank access, a smoother high-speed windshield transition which tackles even the most high-speed conditions. The hard edged chamfering provides the classic JConcepts look while also delivering aero benefits and perfect decal positioning. Each S15 body receives window mask, decal sheet and is backed with JConcepts customer support and racing heritage.